I made it 58 days into my personal challenge of documenting a photo each day for 365 days and I am proud of that accomplishment. But ain't nobody got time for that so I am adjusting my goal to be one photo per week, a 52 week photo challenge, less stressful, more fun. I am also going to be doing a series of Baby Felix themed photos that may or may not coincide with my weekly photo project. 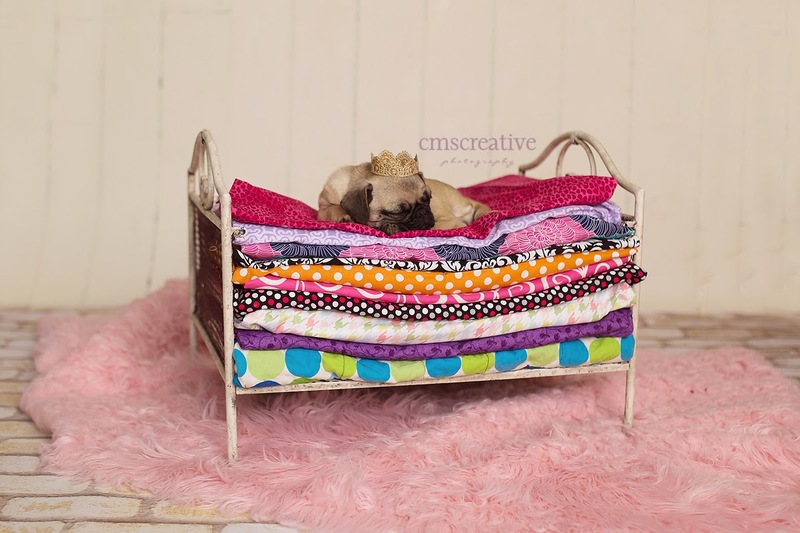 For week 10 - The Pug Princess and the Pea, the pea is under those layers, I promise. I have so much fun planning my sessions. weekly is good too! :) And I Love that pug on a pea series!